What we will do with our church. Firstly thank you to all for your suggestions and ideas. Last month we asked everyone to submit ideas and Dreams for Holy Trinity’s building and how we could improve it. Vestry members discussed these and split them into 2 categories. 1. Those concerned with the building were divided into 3 – Discuss Now, Hopes and Dreams. Vestry will give regular updates on the progress towards meeting the points raised. 2. Those concerned with our services and outreach. Many of these points are being discussed and addressed by our Growing Congregations and Communications sub-groups. Completed• Dust woodwork above pipes/organ – this was completed during the repair of the organ. Vestry will look to ensuring it is cleaned on a regular basis. Suggestions to be taken forward to another meeting• Mix of old and modern hymns• A Sunday with no communion• Services on other days and times of day• Prayer team• More bible study • Family services to encourage in young families• Services need not be all formal. We are a diverse people of God• Involve young people in the church – intersessions, reading, welcoming visitors. Look at the church through the eyes of young people• Main 11am service is a minefield for newbies with no direction either verbal or written as to what to do. We go straight into hymns and Gloria with no direction, say together light text as well as bold. Need service sheets with what we actually do• Explore various types and ways of doing worship – music, singing, Taize, less formal, no communion• Make use of Common Ground as well as NEH or other hymn books• New hymn books, modern• More joy and celebration, more smiley faces • Less rigid service and larger selection of hymns and choruses• There are a lot of talented individuals in the church – we should use their talents. Encourage diversity and equality• Social event with church next door• More church “outside” happenings• Youth at one of the services• Consider doing church in the surrounding community – not just in our own building• Integrate more with our neighbours, Baptist and St Margarets. Perhaps a local ecumenical partnership. Join with St Margarets, Rosyth for joint services 3-4 times a year• Notices giving service and contact details should be distributed to hotels and B&Bs and homeless hostels for display• Cards that members of our congregationgoing on holiday could give to churches they attend giving greetings from HT• The church can be open as a venue for the arts, etc• Rector’s thoughts in magazine• Stuart is an ordained priest – perhaps he should be licenced. Will encourage younger people into church• What is our church’s mission?• What is our role in this community? Update! 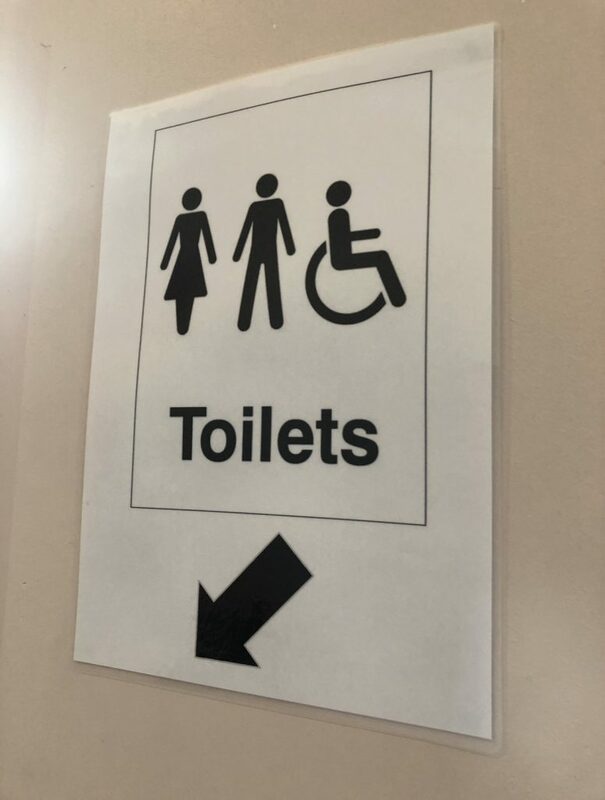 Before this report was even published work has been ongoing to put up new signage to help visitors and our young church find the toilets as seen in the picture above. 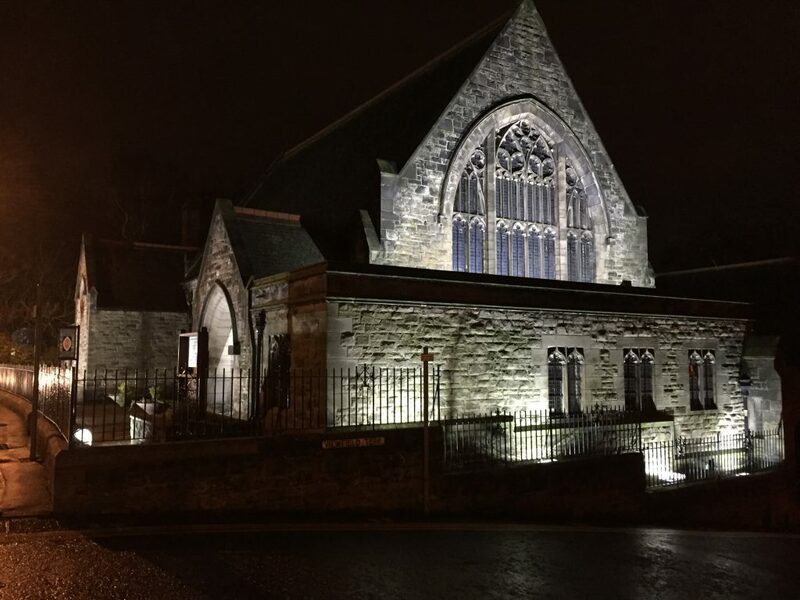 Also a more major change is the refurbished doors at the rear of the church, for more info click below! Please let us know how you feel and your thoughts on the list above, any we have missed?